that borders a straight river. No fence needed along river. 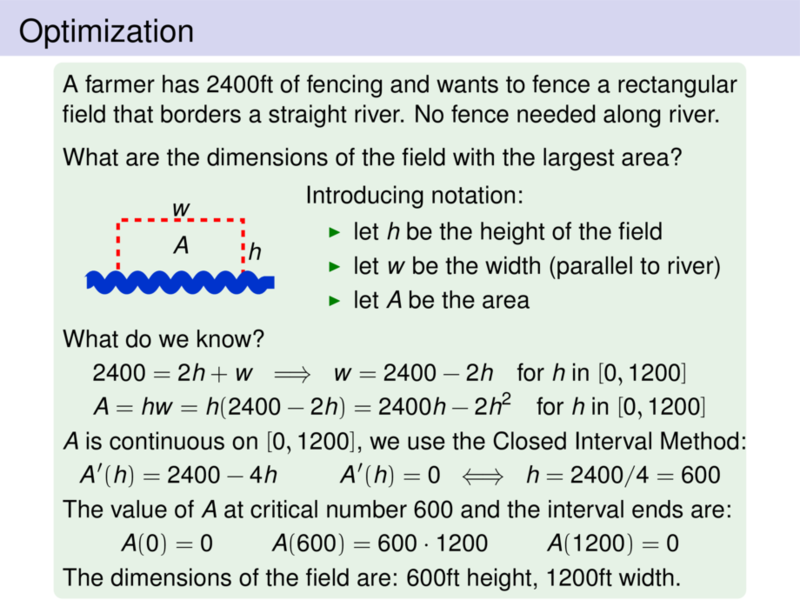 What are the dimensions of the field with the largest area? The dimensions of the field are: $600$ft height, $1200$ft width.